What exactly is it that makes Beautiful Gong Shim so enjoyable? The cast? The plot? The writing? The characters? The acting? YEP! It’s all those things, and more. Ahn Dan-Tae is a lawyer who represents low income people, those who can’t afford to pay for an attorney. He rents a rooftop room from Gong Shim, a physically plain but feisty young woman, and quickly falls head over heals in love with her. Her easy-going personality and unpretentious ways also capture the heart of another man, Seok Joon-Soo, the son of her boss and a director of a huge family owned multimillion dollar company. However, Gong Shim’s older sister, Gong Mi, decides to go after Joon-Soo when she discovers he’s from a super wealthy family. While all of that love square stuff is blossoming, Dan-Tae is hired by Joon-Soo’s grandmother, the matriarch of the millions, to find her grandson who was kidnapped 26 years earlier. In his search he uncovers things about himself and his family he never knew, things that will change his life forever. Ahn Dan-Tae is perfect. The guy isn’t concerned about money but, instead, cares about how he can help others. He’s a hard worker who freelances as a substitute driver when he’s not working on client’s cases. He’s funny, charming, well liked by everyone who knows him, and very intelligent. 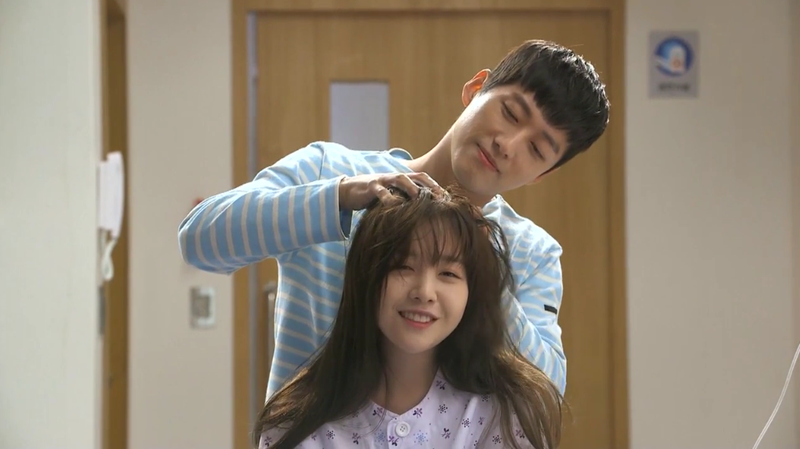 Poor Gong Shim suffers from stress related hair loss which makes her turn to wearing a wig to cover her bald spot. She’s not what you’d refer to as brilliant and she’s not the type of person old high school acquaintances would invite to their house warming parties, either. However, she is kind and selfless and it’s those qualities that draw both Joon-Soo and Dan-Tae to her. Joon-Soo is a respectful young man who doesn’t want money and success handed to him. Although he could have a great position in the family business for the rest of his life he chooses to secretly branch out and start his own company. He’s friendly, loves his family, and has a strong sense of justice. Gong Shim’s older sister is Gong Mi and she’s pretty much everything Gong Shim is not – attractive, smart, sneaky and very selfish. Thankfully, she stops just short of being evil. She’s also a successful lawyer who would like to marry into status and money. I’ve love Namgung Min! I’ve seen him in a host of dramas where he’s always played a second male lead character (that means he doesn’t get the girl) – My Secret Hotel, One Fine Day, I Need Romance 3, Can You Hear My Heart?, and Becoming a Billionaire. Recently, he was once again cast as a supporting male lead in the dramas Sensory Couple and Remember where he tackled a different kind of role, playing a scary, psychotic killer in both shows. Every time I’ve seen something with him in it, I’ve wondered when someone was going to realize what a magnificent actor he is and cast him as a leading man. Well, I’m happy to say this is the one – his first lead actor role in a major Kdrama, Ahn Dan-Tae, and he’s brilliant. That smile of his is 100% enchanting! He’s just plain-old cute beyond words! In 2014 Bang Minah won the World’s Most Beautiful Faces award, placing 53rd out of 100, and yet she plays Gong Shim, a definite non-beauty. Kind of funny. Minah debuted as a member of the girl group Girl’s Day and went on to solo last year (2015). She’s been in two feature films, one of which she received a Best New Actress award for, and 12 dramas. Seok Joon-Soo is played by On Joo-Wan. He’s been acting in movies and dramas since the year 2002, winning both his awards for his performance in the feature film The Peter Pan Formula. I’d like to see that. Seo Hyo-Rim, who plays Gong Mi, Gong Shim’s sister has been in both major motion pictures and TV dramas since 2007. Since she is a recipient of a CF Model Award I assume she was a model sometime in her career. The chemistry the four main characters have is wonderful. I felt like they were all good, sincere friends. That’s really difficult to fake, even for a great actor, so I’m assuming everyone got along great behind the scenes as well as in front of the camera. I love the way this drama naturally incorporates comedy, romance, and suspense into one original plot. The comedy is natural, not forced, which adds to the “funny”. I also appreciate the fact that no one tries to sabotage Dan-Tae and Gong Shim’s budding romance. Theirs is a normal relationship void of selfish, plotting people trying to ruin their lives. Yes, there’s a bad guy, a really bad guy, but his evil desires and deeds have nothing to do with breaking up two sweethearts. Something the writer threw in, just as an interesting bonus to Dan-Tae’s character, is the fact that he has a unique ability to see things in slow motion. If he’s actually looking at something coming at great speed he can slow it down – a fist being thrown at him during a fight, a flower pot falling overhead from a rooftop, a car speeding towards someone… It doesn’t have huge relevance to the plot but it does add some fun to the story. The writer and director of Sensory Couple (aka The Girl Who Sees Smells) and Namgung Min teamed up, once again, to make Beautiful Gong Shim. Shooting this drama must have felt like ‘old home week’ for those three. They obviously work very well together! The soundtrack is good but also kind of middle-of-the-road. Nothing’s what I would call fantastic but there aren’t any bad songs either. Coffee Boy, an indie group with a mellow Kpop sound, is responsible for my favorite song in the show entitled Found, and Minah, who plays Gong Shim, sings a cute song called My First Kiss that’s played over the opening credits. Scenery is normal, everyday stuff with the main focus being the stark contrast between Dan-Tae’s tiny rooftop apartment and the giant Star Company building. There’s a cute little convince store below Gong Shim’s house that we often see and every once in a while there’s a scene in a hospital, Dan-Tae’s small law office, and Joon-Soo’s family’s fancy house. If you’re like me and make a list of Kdramas you’d like to see I’m hoping you have this one somewhere near the top. If not, do it now… Beautiful Gong Shim. It’s definitely worth your time.